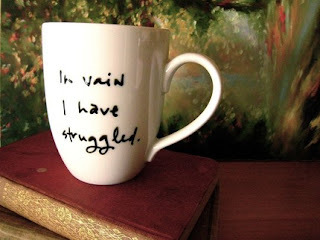 I am a major fan of Jane Austen and her works. My absolute favourite of all her writings would be the very romantic and whitty Pride and Prejudice. I feel I know the book by heart since I have read it so many times, and I really can never get sick of it. I have found, while randomly searching Etsy, the most sweetest P&P handmade things by a very clever person named Brookish. I often look at her things and each time I tell myself that one day I will buy something from her. 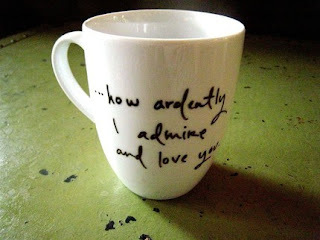 So this year my Christmas wish-list involves mugs, dish towels and T-shirts, all cleverly made with P&P quotes and lines. 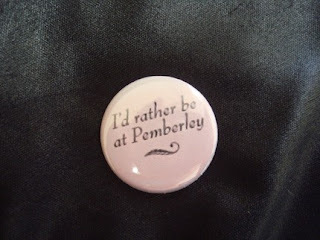 I also came across this button by another maker. 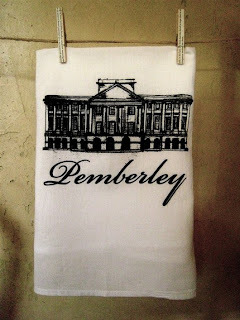 "I'd rather be at Pemberley"
Pride and Prejudice is my all time fav novel! 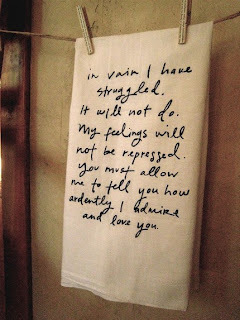 Jane Austen is awesome. 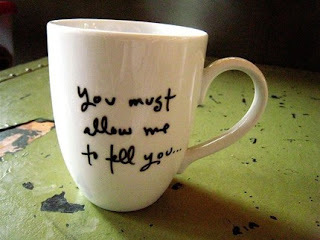 Love these items you have posted, will check Brookish out. love your new blog sammy!! Sorry to disagree. I tried to read Emma and found it so annoying. Are her other books any good? Love the movies though!